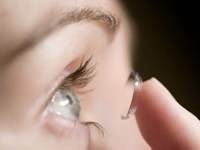 Are you interested in contact lenses or currently wear contacts? Our fitting process matches the best contact lens to the patient’s needs. We offer a variety of contact lenses to best fit the patient’s lifestyle and visual requirements. A contact lens is considered a medical device by the Food and Drug Administration because it can produce negative effects if not worn or monitored correctly. Therefore, a contact lens exam is a process so that we can verify that everything is working properly and that you, as the patient, are satisfied. Contact lens exams are above and beyond the typical eye exam for non-contact lens wearers and therefore requires an additional fee(s). Please keep in mind that new contact lens wearers can require additional visits because they are trained on the proper way to insert and remove contact lenses as well as educated on how to care for the lenses and their eyes to allow for many years of safe and healthy wear. There are different types of contact lens exams based on the contact that is best for you. Every patient that wears contact lenses needs to have an annual contact lens exam to ensure that their contact lenses fit properly and are the correct power. The eyes and surrounding structures must be checked to ensure they are healthy enough to continue to wear contact lenses. The evaluation for contact lenses that correct astigmatism has opened up numerous options for patients who were once told that they could not wear contact lenses. Most of these challenges revolve around finding a fit and power combination that is stable on the patient’s eye to ensures that the vision with the contact lens is clear and stable. Our doctors are committed to finding the best fitting contact lens for each individual patient. This process can sometimes require more than one visit. The evaluation for contact lenses that correct vision at distance, intermediate, and near presents a unique set of challenges. These challenges require time, patience, significant professional judgment and some trial and error of different contact lens options and combinations. These types of contact lenses provide an exciting opportunity for our doctors to work closely with our patients to individualize their vision correction. Fitting these specialty contact lenses is such an individualized process because various job requirements and activities of daily living are vastly different for each person. This process can sometimes require several visits. First time contact lens wearers are evaluated and fit with the best contact to meet their visual needs. Fittings for new contact lens wearers can require additional fees and visits because they are trained on the proper way to insert and remove contact lenses as well as educated on how to care for the lenses and their eyes to allow for many years of safe and healthy wear. These challenging contacts require time, patience, significant professional judgment as well as some trial and error of different contact lens options. While this provides an exciting opportunity for our doctors to work closely with our patients to highly customize their vision correction, it does require a significant amount of time. All of these unique fitting situations would likely include multiple follow up visits. The decision making by the doctor is of the highest complexity. For more information about our specialty contact lens services click on the following link.